We are keen to hear about your recent visit with us at Three Bells. The feedback you provide will be used for our operational improvements to ensure high standards are maintained. Your feedback is always appreciated and should you opt to be contacted to discuss your feedback further, these details will be used solely for the purpose of resolving your feedback. Feedback responses are collected by Feed It Back, a research company commissioned by Casual Dining Group to collect this information on behalf of Three Bells. 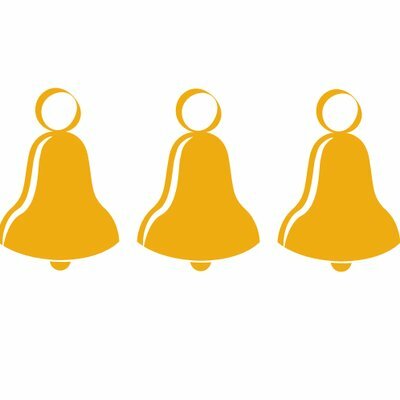 All information collected by Feed It Back will be shared with Three Bells. You can choose to share personal data with Three Bells and will be notified during the survey process when this opportunity is available. Need some help with your code? To complete your survey we ask you to supply a feedback code. This helps you quickly find the pub or restaurant you're looking for and in some cases details about your transaction. Your feedback code may appear on your receipt or on printed material within the branch. If you're still not sure please speak to your server. Alternatively, you can search for your branch if you don't have a feedback code. This privacy notice tells you what we do with the information we collect about you. It is relevant to anyone who uses Feed It Back to provide feedback. We refer to these people as 'guests' or 'you' in this privacy notice. We are Feed It Back Limited ('we', 'us' or 'our' in this document), a company in the UK with registered offices at: 1a The Quadrant Courtyard, Quadrant Way, Weybridge, England, KT13 8DR. Most of the information we collect about you will be the information you provide when completing feedback. However, we work with our clients and their EPOS/till companies to get more information about your visit, including when and where your visit took place, who served you and what you ordered. Please note that we never have access to your credit or debit card information. We extract this data to personalise your survey, and to better guide our customers to gain insight into the feedback you provide. We may also store and read from text files (cookies) on your computer/device. Cookies enable us to try to help prevent/detect fraud and to understand how you use the site for anonymous technical analysis (Google Analytics). Some of the information we collect from you will be specifically about your experience, and you may be asked to provide some general information about you – for example, age range or gender. This additional information gives our clients a better understanding of the needs and expectations of their customers. You may also be offered the opportunity to upload a photograph you took during your visit. This is to help provide context to our clients – and will only be used for marketing purposes where you give your express consent. There are occasions where we may ask for details that can identify you personally, such as your name, email address, phone number or address. Providing this information is entirely optional but may be necessary to fulfil a request – such as send you a voucher as a thank you for your time, or to progress a complaint. Further information is shown in the next section. What do we do with information we collect about you? To help our clients understand how well they are performing, and what they can do to improve the service they offer. With the insight that you provide, combined with data about your visit our clients can better understand what went well, and what didn't go so well so they can continually improve. Our clients can view individual pieces of feedback, but also report on feedback across a branch, region or the entire business. The personal information you provided is restricted to only be available to those who need to have access to it. To enforce our legal obligations. The information we collect may be shared if the disclosure is required by law (such as in response to a court order) or needed for fraud prevention purposes, or if the disclosure is in connection with a sale of our business. To fulfil an offer in return for providing feedback. In some cases, you may be offered a voucher in return for completing feedback. In these cases, you will be asked to provide an email address, so you can be sent a voucher by email. Your email address and a summary of your feedback may be passed to the company on whose behalf we are collecting feedback to help them better understand their guests. However, you will not be added to their mailing list unless you specifically opt-in to their newsletter (see item 6 below). To remind you to complete feedback. When completing feedback on a tablet device on-site, you may wish to pause giving feedback so that you may continue later. If you wish to do this, we will use the email address you provide to send you a reminder at your selected time. The email address provided will not be used for any other marketing purposes. To enable our clients to contact you regarding a complaint. Should you have a bad experience, you may be asked to provide your contact details so that you may be contacted to discuss your feedback. This is optional, and if you do provide your details, they will only be used for progressing your complaint, and not for any other marketing purposes. Will we send your personal information overseas? We may send some of the information you provide to services based overseas for processing purposes, for example, to send you a voucher attached to an email. We will ensure agreements are in place to protect your data as far as possible, such as the EU-US Privacy Shield agreement. Your privacy is of utmost importance to us, and we will only share your data where absolutely necessary. How long will we store your personal information? The feedback you provide will be stored in an anonymised form for a number of years, to enable our clients to monitor satisfaction levels over time. This includes demographic information such as age and gender. Any personal information you provide (such as your name and email address) will only be stored by us for as long as necessary. For example, when sending you a voucher or reminder to complete feedback, your contact details are deleted after 7 days. We will retain your contact details for longer to allow a complaint to progress to completion, or to transfer your information to our client if you explicitly sign up to their marketing database. Any questions or concerns should be addressed to our Data Protection Officer (DPO) at data@feeditback.co.uk or by post at Data Protection Officer, Feed It Back Limited, Stevenson House, 16a Tunsgate, Guildford, Surrey GU1 3QT. If you have a concern about the way in which your personal information is being used, we ask that you contact our Data Protection Officer in the first instance at data@feeditback.co.uk or by post at Data Protection Officer, Feed It Back Limited, Stevenson House, 16a Tunsgate, Guildford, Surrey GU1 3QT. Our ICO registration number is: ZA286075. This page contains information about your relationship with the owner of this Internet Site and your rights to access and use it. By using this website you show that you accept all terms of this notice. This Site is owned and managed by Feed It Back Limited, whose registered office is at 1a The Quadrant Courtyard, Quadrant Way, Weybridge, England, KT13 8DR, United Kingdom. If the advertising, offering for sale, or selling of the goods and / or services referred to on this Site is illegal for any reason in the jurisdiction in which it is accessed or viewed, whether by virtue of the age of the person seeking to view it or otherwise, access to and / or viewing of such material is not authorised by Feed It Back. This Site contains material including text, photographs and other images, which is protected by copyright and/or other intellectual property rights. All copyright, trademarks and other intellectual property rights in the material comprising this Site are owned by or licensed to Feed It Back or one of its clients. You may only use the Site for its purpose and in accordance with these terms and conditions. You may download material displayed on the Site for non-commercial personal use only provided you also retain all copyright and other proprietary notices contained on the materials. You may not, however, distribute, modify, transmit, reuse, re-post, or use the content of the Site for public or commercial purposes, including the text, images, audio, and video without Feed It Back’s prior written consent. You may not attempt to circumvent any anti-copying or other such protection accompanying the material. At all times the intellectual property and information contained within this Site remains confidential and must not be disclosed to any third party. You may not link to this Site without our express written consent. If you wish to provide a link to this Site, please email support@feeditback.co.uk with details. By accessing and browsing the Site, you accept, without limitation or qualification, this Agreement. If you do not agree to these terms and conditions, please do not use the Site.